We are the children of the terrible wolves that hunted the world at the dawn of time. We are unified by our love of our mother the Moon and our dedication to the hunt. Fear us, for among our tribes, no wolf ever hunts alone. • A deeper look into each of the Tribes of the Moon, including tales told in the voices of various tribal members. • New character creation options, from tribe-specific rites and fetishes to lodges and Merits. • Milestone Gifts: Tribe-specific abilities granted to proven werewolves by their Firstborn patrons. • Sample characters, both famous and infamous, of the tribes. 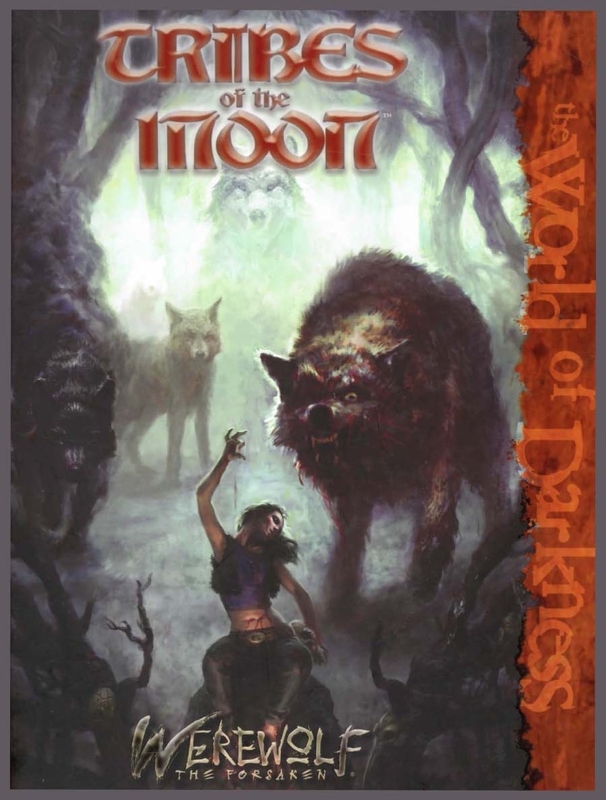 Tribes of the Moon is a supplement for Werewolf: The Forsaken. This title was added to our catalog on May 02, 2008.